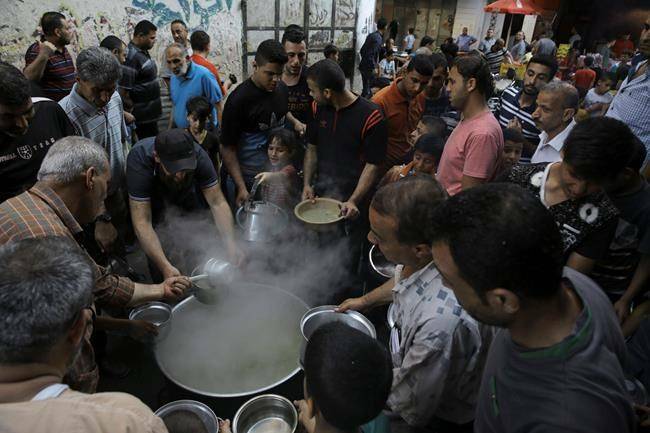 This Update features two pieces on the difficult economic situation in Gaza – and the postulated link between that economic situation and the violence which has emanated from Gaza, including the border clashes of recent weeks, and last week’s firing of 200 or so mortars and rockets from Gaza into Israel. We lead with Israeli academic historian Prof. Efraim Karsh, head of the BESA startegic studies thinktank, who argues the commonly heard claim that the key to stopping the violence from Gaza is increased humanitarian aid and fostering economic prosperity there has it backwards. He says it is not Gaza’s economic problems that have sparked the violence emanating from the territory, rather endemic violence has instead caused a humanitarian crisis. Karsh offers evidence that there is no link between economic hardship and mass violence, puts the extent of Gaza’s poverty into context, and then offers some economic data to bolster his claim that it is Hamas’ transformation of Gaza into a entity devoted to terrorism which has caused its economic decline. For all the vital details, CLICK HERE. Karsh recently also had an interesting longer article on the special treatment of Palestinian refugees since 1948 – and how it has harmed and not helped them. Next up is Israeli strategic affairs reporter Yaakov Lappin who looks at the origins of Gaza’s economic difficulties and what could potentially be done about it. He notes that despite the focus on Israel’s blockade, Hamas’ terrible relations with both Egypt and the Palestinian Authority are just as important in explaining Gaza’s isolation and economic distress. He then goes on to note increasing contacts between Egypt and Israel and even Jordan to ease Gaza’s economic crisis – but says that these efforts would require Hamas to roll back its terrorist military buildup, which it is unclear it is willing to do. For this good analysis if where Gaza’s economic problems really lie, CLICK HERE. Yaakov Lappin had another good analysis of why Hamas, despite its best efforts, has failed to spark any major violence in the West Bank over recent weeks. Finally, Jerusalem Post diplomatic correspondent Herb Keinon looks at Israeli Prime Minister Netanyahu’s major trip to Europe this week to meet with the leaders of Germany, France and the UK. Keinon notes that Netanyahu billed the trip as very important for Israel’s security and clearly wanted to talk first and foremost about Iran, but would not have been surprised that all three European countries publicly disagreed with the US withdrawal from the JCPOA nuclear deal with Iran, a pullout Netanyahu vocally supports. Netanyahu, Keinon says, knew he could not hope to convince the Europeans on the JCPOA, but instead seeks to get the Europeans to use their leverage on Iran with respect to both ballistic missiles and Iran’s dangerous regional behaviour, rather than fight with the US over the JCPOA. For the rest of Keinon’s knowledgeable discussion, CLICK HERE. Also arguing that economic benefits will not bring stability to Gaza is another Israeli academic, Hillel Frisch. Another discussion of Netanyahu’s diplomatic efforts to increase the pressure on Iran, from Netanyahu biographer Anshel Pfeffer writing in the UK Times. Israel publishes preliminary findings from its investigation into the death of Gaza medic Razan al-Najjar two weeks ago, saying she was never intentionally targeted by Israeli fire. Israel allegedly foiled a recent plot that originated from Syria to assassinate Netanyahu. Comment on the cancellation by Argentina of an Israel-Argentina friendly soccer match in Jerusalem this week, in the face of reported Palestinian threats, from Ben Sales of the JTA and columnist Ben Cohen. Former AIJAC staffer Arsen Ostrovsky calls for the UK to ban all of Hezbollah, not just its “military wing”, as the group sponsors a London march. A similar call came from London mayor Sadiq Khan. This week marks the fiftieth anniversary of the assassination of US Presidential candidate Bobby Kennedy by Palestinian Sirhan Sirhan. Haaretz reviews Kennedy’s history of reporting from Israel and pro-Israel advocacy. With the IDF gearing up for another expected major round of protest and violence along the border fence today, Ahron Shapiro reports onthe increasingly mass-scale use of incendiary kites from Gaza, which have sparked dozens of serious fires in southern Israel. Gabrielle Burack on what a new deal between Russia and Israel about Syria says about the growing tensions between Russia and Iran, the two key backers of the Assad regime. A media release on AIJAC’s letter to the ABC on the national broadcaster’s almost complete lack of coverage of last week’s rocket and mortar attacks on Israel. No cliché has dominated the discourse on the Gaza situation more than the perception of Palestinian violence as a corollary of the Strip’s dire economic condition. No sooner had Hamas and Israel been locked in yet another armed confrontation over the past weeks than the media, foreign policy experts and politicians throughout the world urged the immediate rehabilitation of Gaza as panacea to its endemic propensity for violence. Even senior members of the Israel Defense Forces opined that a “nonmilitary process” of humanitarian aid could produce a major change in the Gaza situation. While there is no denying the argument’s widespread appeal, there is also no way around the fact that it is not only completely unfounded but the inverse of the truth. For it is not Gaza’s economic malaise that has precipitated Palestinian violence; rather, it is the endemic violence that has caused the Strip’s humanitarian crisis. It is not Gaza’s poverty that precipitiates Palestinian violence – rather the inverse is true, violence has caused the economic crisis there. For one thing, countless nations and groups in today’s world endure far harsher socioeconomic or political conditions than the Palestinians, yet none have embraced violence and terrorism against their neighbors with such alacrity and on such a massive scale. Nor has Hamas been an exception to this rule. Not only has its leadership been highly educated, but it has gone to great lengths to educate its followers, notably through the takeover of the Islamic University in Gaza and its transformation into a hothouse for indoctrinating generations of militants and terrorists. Hamas founder, Sheikh Ahmed Yassin, studied at the al-Azhar University in Cairo, probably the Islamic world’s most prestigious institution of higher religious learning, while his successor, Abdel Aziz Rantisi, was a physician, as is Hamas cofounder Mahmoud Zahar. The group’s current leader, Ismail Haniyeh, and Muhammad Def, head of Hamas’s military wing, are graduates of the Islamic University of Gaza, while Khaled Mashaal studied physics in Kuwait, where he resided until 1990. Hardly the products of deprivation and despair. This propensity for violence among the educated and moneyed classes of Palestinian society was starkly reflected in the identity of the 156 men and eight women who detonated themselves in Israel’s towns and cities during the first five years of the “al-Aqsa Intifada,” murdering 525 people, the overwhelming majority of them civilians. A mere 9% of the perpetrators had basic education, while 22% were university graduates and 34% were high school graduates. Likewise, a comprehensive study of Hamas and Islamic Jihad suicide terrorists from the late 1980s to 2003 found that only 13% came from a poor background, compared with 32% of the Palestinian population in general. More than half of suicide bombers had entered further education, compared with just 15% of the general population. By contrast, successive public opinion polls among the Palestinian residents of the West Bank and the Gaza Strip during the 1990s revealed far stronger support for the nascent peace process with Israel, and opposition to terrorism, among the poorer and less educated parts of society – representing the vast majority of the population. Thus, for example, 82% of people with a low education supported the Interim Agreement of September 1995, providing for Israel’s withdrawal from the populated Palestinian areas of the West Bank, and 80% opposed terrorist attacks against Israeli civilians, compared to 55% and 65%, respectively, among university graduates. In short, it is not socioeconomic despair but the total rejection of Israel’s right to exist, inculcated by the PLO and Hamas in their hapless West Bank and Gaza subjects over the past 25 years, which underlies the relentless anti-Israel violence emanating from these territories and its attendant economic stagnation and decline. At the time of the September 1993 signing of the Israel-PLO Declaration of Principles, conditions in the territories were far better than in most Arab states – despite the steep economic decline caused by the intifada of 1987-93. But within six months of Arafat’s arrival in Gaza (in July 1994), the standard of living in the Strip fell by 25%, and more than half of the area’s residents claimed to have been happier under Israel. Even so, at the time Arafat launched his war of terrorism in September 2000, Palestinian income per capita was nearly double Syria’s, more than four times Yemen’s, and 10% higher than Jordan’s – one of the better-off Arab states. Only the oilrich Gulf states and Lebanon were more affluent. By the time of Arafat’s death, in November 2004, his terrorism war had slashed this income to a fraction of its earlier levels, with real GDP per capita some 35% below the pre-September 2000 level, unemployment more than doubling, and numerous Palestinians reduced to poverty and despondency. And while Israel’s suppression of the terrorism war generated a steady recovery, with the years 2007-11 even recording an average yearly growth above 8%, by mid-2014 a fully blown recession had taken hold, especially in the Gaza Strip. Indeed, apart from reflecting the West Bank’s basic socioeconomic superiority vis-à-vis Gaza, the widening gap between the two areas during the Oslo years (the difference in per capita income shot up from 14% to 141%) was a direct corollary of Hamas’s transformation of the Strip into an unreconstructed terrorism entity, in contrast to the West Bank’s relative tranquility in the post-al-Aqsa Intifada years. This, in turn, means that so long as Gaza continues to be governed by Hamas’s rule of the jungle, no Palestinian civil society, let alone a viable state, can develop. Just as the creation of free and democratic societies in Germany and Japan after World War II necessitated a comprehensive sociopolitical and educational transformation, so, too, it is only when the local population sweeps its oppressive rulers from power, eradicates the endemic violence from political and social life, and teaches the virtues of coexistence with Israel that Gaza can look forward to a better future. Efraim Karsh is director of the Begin-Sadat Center for Strategic Studies, emeritus professor of Middle East and Mediterranean studies at King’s College London, and editor of the Middle East Quarterly. While international attention often focuses on Israel’s security blockade, as well as attempts by Gaza’s factions to break through it, less notice is given to the way Egypt and the Palestinian Authority (PA) have isolated Gaza throughout the years. Gaza’s near total regional isolation and economic distress continue to worsen, to the point where Hamas today fears that the Gazan economy could simply collapse, sparking a revolt and threatening its rule. In such a scenario, Hamas would likely choose war against Israel as a last ditch effort to distract attention from its failings as a government. Throughout this complex and explosive situation, Israel’s defense establishment has been taking steps to try and keep Gaza’s economy from collapsing. Israel Defense Forces (IDF) officers who deal with Gaza actively encourage the Strip’s business community to grow, increasing the number of permits for them to leave Gaza, and fostering Gazan exports. 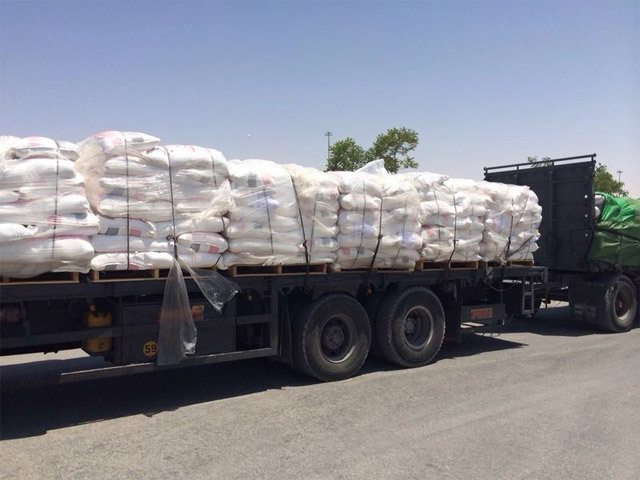 Israelis security forces makes sure goods, fuel, medical equipment, food, etc. keep flowing into Gaza via the Kerem Shalom crossing. They also keep a close watch over the state of Gaza’s vital civilian infrastructure, in a bid to keep it running. Israel keeps a daily supply of a variety of goods, fuel, gas, medical equipment, food, and construction material flowing into the Strip. But these steps are not enough to defuse the time bomb that is Gaza. Now, Israel’s defense establishment appears to be open to the idea of further improving Gaza’s civilian economy, but only if this can be done without allowing Hamas to step up its dangerous military build-up programs. Israel’s dilemma here is complex. If it sends generators into Gaza to help with the energy crisis, past experience shows that many will end up in Hamas combat tunnels, which are dug in the direction of Israeli communities for the purpose of attacking them. Still, Israel’s defense establishment recognizes the need to do what is possible to develop Gaza economically. PA President Mahmoud Abbas remains determined to keep Gaza in economic lockdown until Hamas disarms. PA President Mahmoud Abbas is determined to keep Gaza in economic lockdown as long as Hamas continues to ‘rebel’ against him. In recent months, an attempt by Hamas leader Yahya Sinwar to break out of isolation by holding reconciliation talks with the PA, came to nothing, because Hamas is unwilling to hear of disarming. From the PA’s perspective, that means it will continue to try and choke Gaza. Abbas refuses to accept any deal that would leave Hamas operating much like Hizballah does in Lebanon. That means that Abbas rejects the idea of Hamas monopolizing military power, while allocating some symbolic political power to a wider government. The real hatred in place between the PA and Hamas is too deep to bridge, and Abbas is activating his main weapon against Hamas as a result: Withholding money from the Gaza Strip. 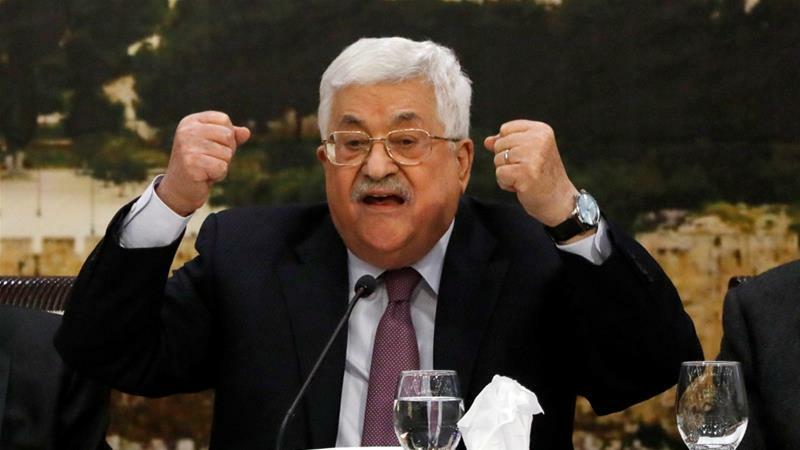 It is Abbas’s main available maneuver, and he is using it on a daily basis. Egyptian President Abdel Fattah El-Sisi’s administration views Gaza’s militant Islamist rulers as a direct threat to Egyptian national security. This situation threatens Hamas’s ability to pay for its armed wing and challenges the Hamas government’s future. It also leaves the people of Gaza feeling hopeless. In this flammable, complex Middle Eastern maze, Gaza’s civilians continue to pay the price. The near future will indicate whether this chronically unstable situation will collapse into another conflict or whether Gaza’s economy can be pulled back from the brink, thereby preventing war. Analysis: What does Netanyahu hope to achieve on his European trip? The tone of Prime Minister Benjamin Netanyahu’s current trip to Europe was set on Monday at a news conference in Berlin with German Chancellor Angela Merkel. Those other European partners – France and Britain, who along with Germany were also partners to the deal – were the next stops on Netanyahu’s four-day trip. 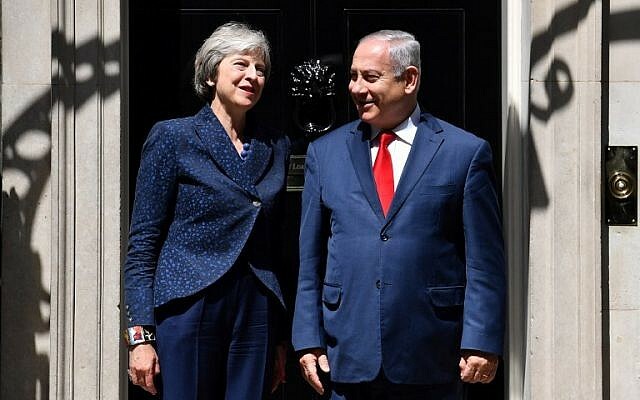 He heard the same thing from French President Emmanuel Macron, who said in his news conference with Netanyahu on Tuesday that the JCPOA was an “important milestone.” Netanyahu will surely hear a similar sentiment when he meets British Prime Minister Theresa May in London on Wednesday. Netanyahu, who has had his share of meetings with world leaders, was obviously not surprised by this. No one really thinks he went to Europe actually believing that he was going to change the minds of Merkel, Macron and May. Yet make the trip he did, and he billed it beforehand as a trip very important for Israel’s security. But if he knew that he was not going to change minds, why go? Why have these discussions? What does he hope to accomplish? First of all, because the discussions about Iran are not only about the nuclear issue. There is also the issue of Iran’s ballistic missile development, Iran’s meddling in the region and entrenchment in Syria, and its activities in Gaza through Hamas and especially Islamic Jihad. Before boarding the plane on Monday, Netanyahu said he would talk about two things with the leaders: Iran and Iran. And he meant it. Merkel and Macron also brought up Gaza, and May is expected to do the same. But even when it comes to Gaza, Netanyahu uses it as further proof of Iran’s destabilizing influence throughout the region. Netanyahu went to Europe to address all of Iran’s activities, in the hope that if Germany, France and Britain are not on board regarding withdrawing from the JCPOA, at least they can cooperate with Israel on the other troubling issues Iran is involved in: ballistic missile development, regional aggression, and destabilizing Gaza. Regarding the Iran deal, Netanyahu wants to convince the Europeans not to walk out of the deal, but rather to accept the new reality: that the US has withdrawn, and that as a result, the playing field has fundamentally shifted. He hinted as much in his news conference with Merkel. He was even more direct during his news conference with Macron. Netanyahu’s goal in these meetings was not to change minds, but rather to convey his opinion that it is not productive to get into a frontal conflict with US President Donald Trump over the issue, and to recognize that even if the European countries do not formally withdraw from the Iranian nuclear agreement, the very fact that the US has withdrawn has already led numerous companies to decide that they do not want to risk secondary US sanctions, and are therefore pulling out of Iran. Netanyahu’s argument is that the Europeans should now use this as leverage with the Iranians to pressure them on the ballistic missile issue, and about their activities is the region. Netanyahu’s clarion call at the UN last September was “fix or nix” the Iranian deal. His message to the Europeans – a message that came out clearly in the nearly 45-minute news conference Tuesday evening in Paris with Macron – is that the US withdrawal has essentially nixed the deal, and that now the Europeans should help fix the region by halting Iran in Syria and elsewhere in the Mideast. And that is why Netanyahu went to Europe.